With your support, we will be able to demonstrate local communities’ ability, commitment and success in tackling the issue of soft plastics which otherwise still ends up in landfill or as litter. into school yard furniture and win an innovation award? The innovative Plastic Police® Model attempts to close the loop on wasted resources. Plastic Police® Partnerships engages local communities, including schools, businesses, councils and other program partners. This is a social enterprise initiative and shared value program to develop more sustainable communities. Soft plastics currently have very low rates of recycling and are a significant contributor to landfill volumes and environmental pollution throughout our communities. Soft plastic litter negatively impacts the land and marine environments. Plastic Police® Partnerships closes the loop on soft plastics and optimises the recovery and utilisation of problematic (non-recycled) soft plastic films into value-added materials and products. The program also provides valuable data on the volume and generation of soft plastic waste and this can inform future initiatives to reduce waste, reduce litter and foster sustainable behaviour change. It is a program that can offer local solutions. No litter, no landfill…turn your waste plastic into furniture and equipment that can go back into your community. If you can scrunch it you can save it through Plastic Police® Partnerships. 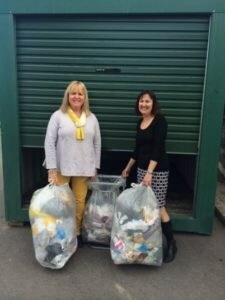 How can Council support soft plastic recycling? Council can support this exciting initiative of soft plastic recycling by becoming a member of the program. They can also play an important part by providing a facility to collect, store and bale the recovered soft plastics until they can be processed into useful products and equipment for community and infrastructure projects. In addition, Council can assist with the education program in local schools and the community. What are the benefits for Council? Procure products made from community recycled plastic for asset replacement, maintenance and infrastructure projects. Reduced waste to landfill and lower landfill costs. Local businesses can support this exciting initiative by becoming a member of the program. Your involvement will support the recycling of soft plastics at a local school/s or you could sponsor a community project to engage further with your customers and the local community. Schools that participate in the program have the opportunity to receive outdoor furniture made from recycled plastic. The program will allow you to reduce your business’ waste disposal costs and the environmental impact of soft plastic in the community. Collect your business’ soft plastic packaging waste and engage further with your staff and customers, by providing a collection point at your business for household clean, soft plastic. 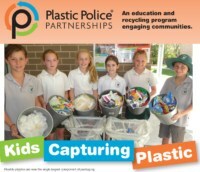 Schools can incorporate the Plastic Police® Partnership Program as part of their school recycling, education and community engagement activities. This program offers an additional opportunity for schools to strengthen family and community engagement. 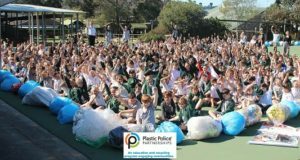 The program provides each school with the necessary tools , support and equipment to engage the school community to recycle clean, soft plastic currently not able to be recycled through traditional kerbside recycling. Outcomes from the program can be measured and communicate to promote successful outcomes and foster further engagement. What are the benefits for your School? Collected material can be transformed into outdoor furniture and other useful equipment that comes back to the school/community. How can Patrons support Plastic Police? Soft plastic waste is a significant problem facing modern society. 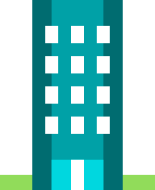 Plastic Police® Partnerships is addressing this issue by creating a local community engagement model to collect, recycle and reuse soft plastics that end up in landfill or are polluting our local land and marine environments. By signing up as a Patron of Plastic Police® Partnerships you can support the roll out of the program at a state wide level. The program has the capacity to build resilient and sustainable communities and is about shared purpose and shared responsibility. Your membership fee, and in kind support, will contribute directly to the program being implemented throughout communities. Patrons can also contribute to the program by leveraging their professional and business networks to promote Plastic Police® and encourage others to support this community engagement and recycling initiative. What are the benefits for Patrons? How can Program Partners support Plastic Police? 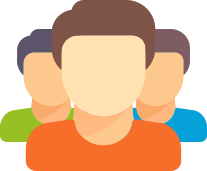 The program provides it’s partners and supporters with increased collaboration opportunities and is focussed on shared purpose and shared responsibility. It is a model that complements other initiatives to reduce the impact of soft plastic packaging waste. Program Partners can engage and collaborate to provide in kind support, funding, promote the program, provide educational service or additional services to achieve shared value outcomes. Closing the loop with soft plastics relies on engagement, collection, baling, logistics, manufacturing, procurement as well as many other program support activities. Partnering with Plastic Police® will allow the program to be delivered to additional local schools and communities. 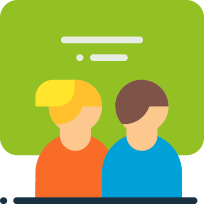 There will be greater engagement opportunities with your customers or stakeholder groups. 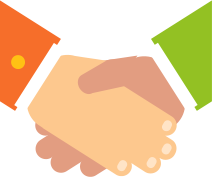 What are the benefits for Program Partners? Demonstrated extended producer responsible action. Be part of an innovative solution that addresses a growing community concern. If you would like to know more about the Plastic Police® Partnerships soft plastic recycling program, please get in contact, we will be more than happy to hear from you! 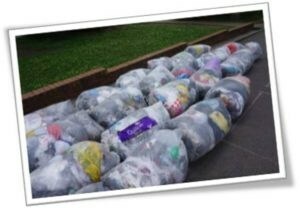 We can get you involved in the soft plastic recycling process to help our environment and communities.